Now a day’s more people using internet from their smart phones and tablets as compare to desktop and laptop so there are more scope for mobile apps to get direct connection with mobile users. Mainly android and apple covers major stack in smart phone and rapidly growing so if you have a website and want more users and more business than you must have to go with mobile apps because there are more business scope and opportunities into mobile sector. 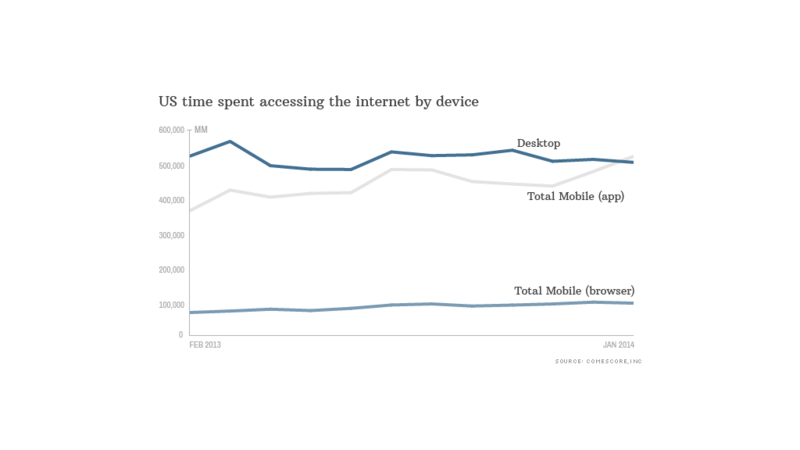 now if you focus on this graph than you can check more American user prefer to surf data via app instead of mobile browser and they are more users than computer users. So you can check how much user wants to prefer to surf from app instead of browser because they don’t want to enter url on small screen. Now you can think about that your responsive website is not making that much good impact as mobile app. You can also add push notification to your mobile app user so let say when you will update web and want to inform all your user than you can send notification to app and they will got notification and check it out. For which industry it will be more useful? For hotel and travel agencies app will make good result on booking because when user has app on his device than he will prefer to open it and check price and book it instead of opening website. and with push notification user will also get latest offers and deals which provided by hotel. Mostly blogger and news websites are updated daily or weekly and users want to read it any time like when they are travelling or waiting so if there are one mobile app install on their mobile. If you have one online store than you must need mobile app to be updates with latest trade and it will give you more business and repeated business to you because when any buyer goes to market and want to check price on your website than app will help them and on free time with their mobile they can easily place order. Now Admob is part of Google so its Adsense and giving you really good source of income from your mobile application. With hybrid platform you can reduce your development cost so it will be under $999 to develop mobile app for android and iOS and you can publish it on Google play and iTunes and get more users and regular visits. Specifically if you have wordpress website than it will be easy to set up mobile app because wordpress has really nice plug-in support and with the help of plug-in which one is developed by our team will complete whole mobile app within 7 working days so you don’t have to wait for months to complete your mobile app and yes it will be one time cost only no monthly or yearly price so you can invest it and get rewards. And for magento with the help of rest API we can communicate with your existing store and your store will be communicate with mobile app so existing user can use same login details to access from mobile app and specially on promotion time it will be send notification to users on mobile devices to get notify for new offers and they will get data from app and check out new updates on store. So what’s your plan would you like to develop your mobile app than don’t worry we are here to help you with 100+ web to mobile app development. You can contact us with your website we will be happy to get your views for this. Best offshore web & mobile app development company in India, We create custom android and ios mobile apps for your wordpress and magento websites. Get Quote Now! 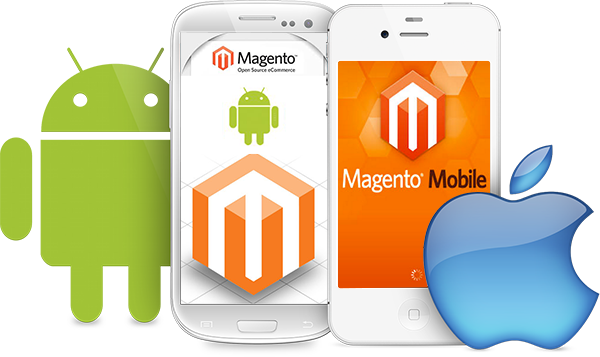 Posted on March 20, 2015, in Wordpress & Magento App Development and tagged magento mobile app, Magento to mobile app, mobile app development, mobile apps, wordpress development, wordpress mobile app, WordPress to mobile app. Bookmark the permalink. Leave a comment.